Brrrr...is right! We drove to Calgary and back and stayed in Helena...driving through Montana. The colors were gorgeous! I took some beautiful pictures of the sun rising with the pretty mist and the pretty colors. Just amazing. You are so right, winter is coming all too soon, especially here in northern Michigan! But we need to embrace it as we do all other seasons (albeit with several layers of clothing between us and the embracing!) Very pretty, love the shimmer. Clever idea! Thanks for posting it for the Stampin' Sisters in Christ challenge this week. 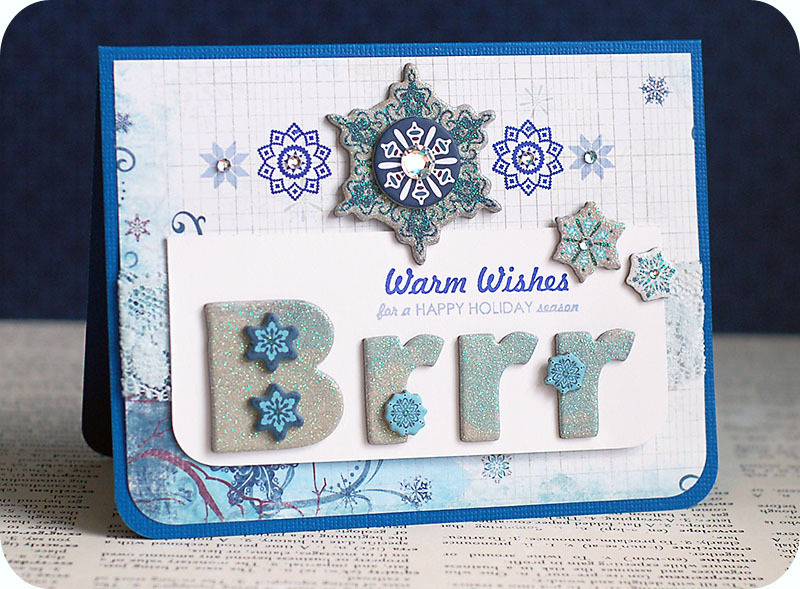 Oh what a great winter card! Love all the glitter! LOVE the blues and dp! Thanks for joining us at SSIC! What a pretty winter card. I like the rounded corner. We have been having Indian summer, but I feel winter coming in the air todya. Had to get our our winter coats. Thanks for joining us at Stampin' Sisters in Christ. Great card love your take on the denim and lace theme, thanks for joining us at Cupcake Craft this week. WOW another beauty love it as always!! !Thanks for playing along with us at Wee Memories! !